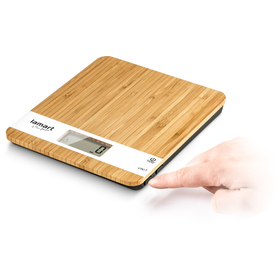 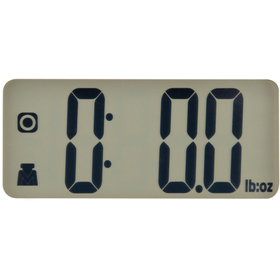 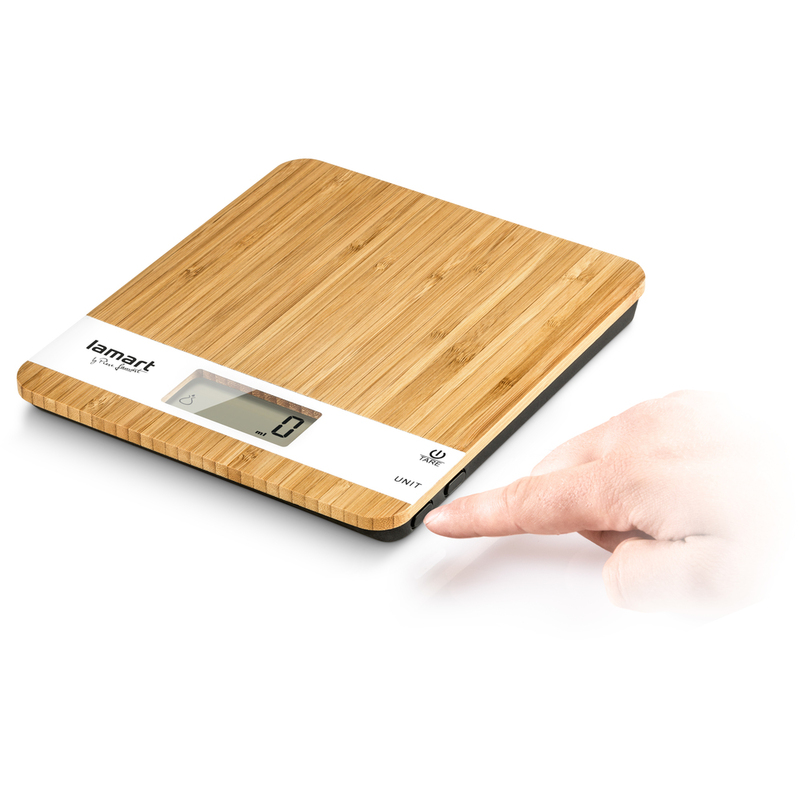 Kitchen scale with touch control sensors for accurate weighing with a large LCD display. 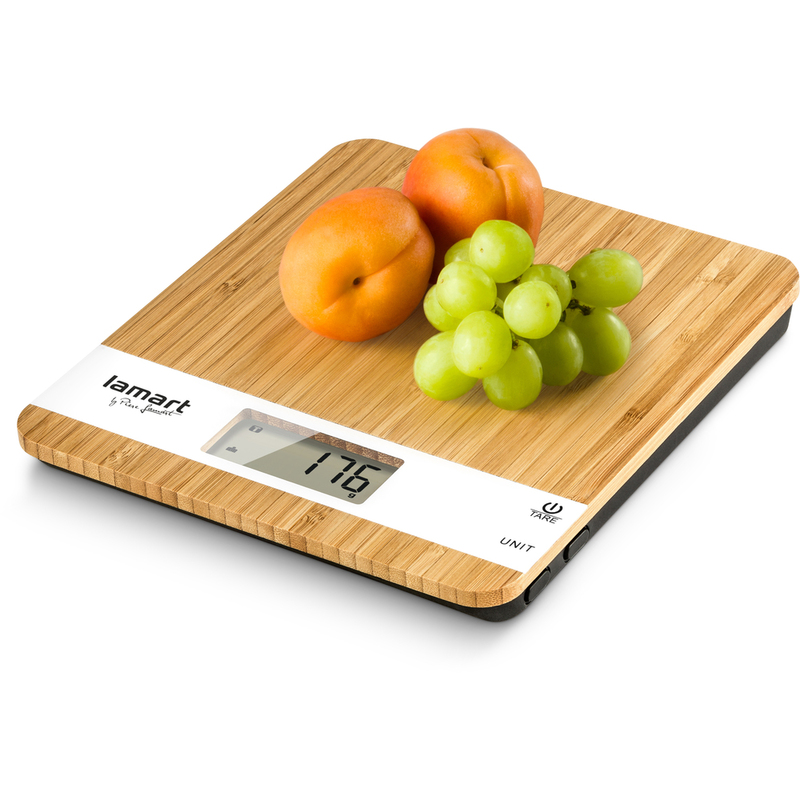 Monolithic surface for easy and hygienic maintenance. Gradual reweighing and zeroing container weight function (TARA). 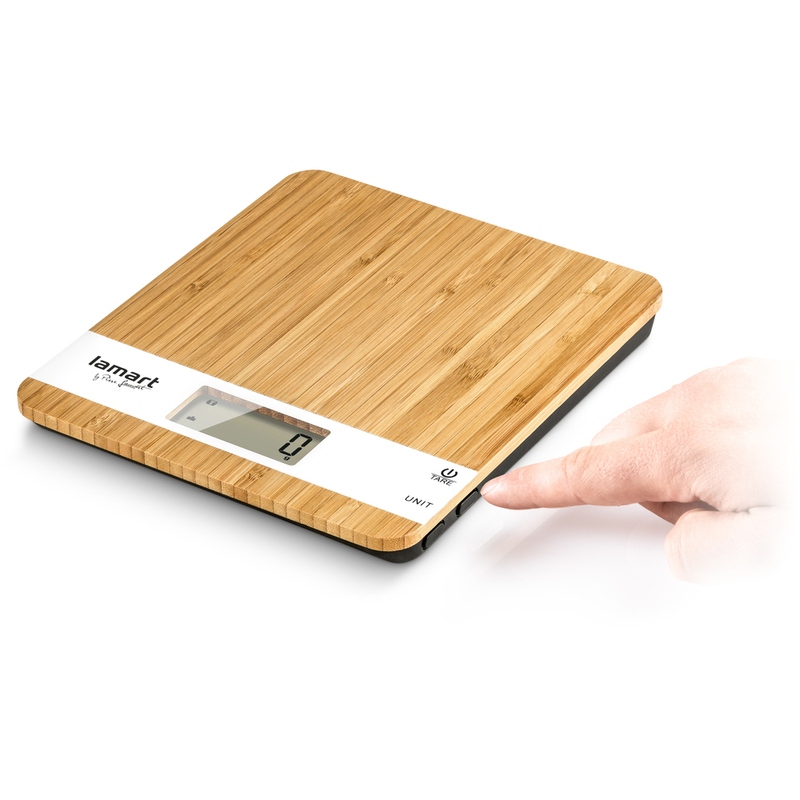 Weighing range up to 5 kg (accuracy 1 g). 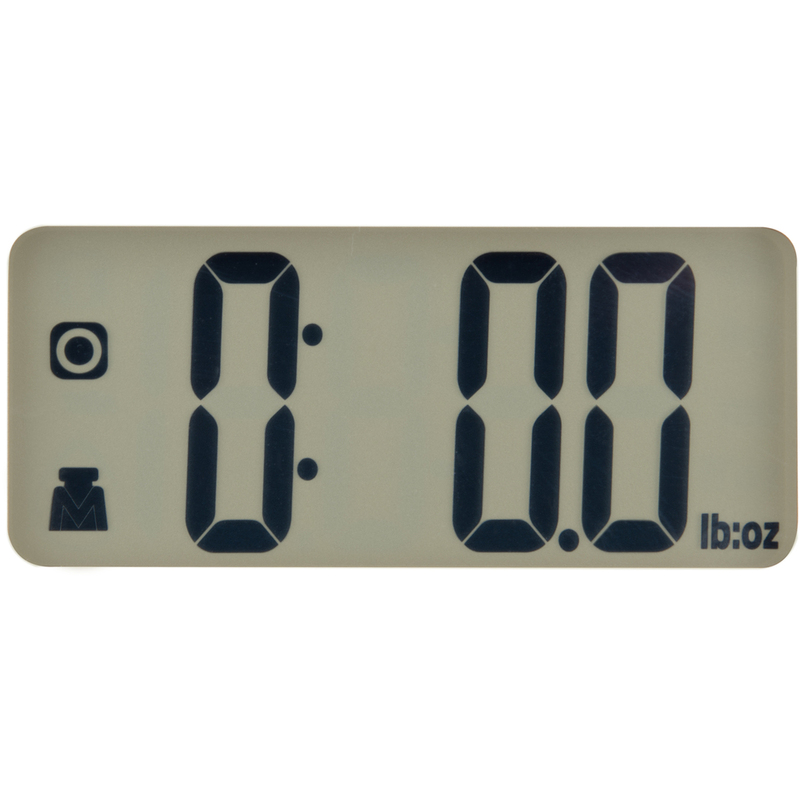 Weak battery and overload indicator.